Remember when I hacked a cuppow? 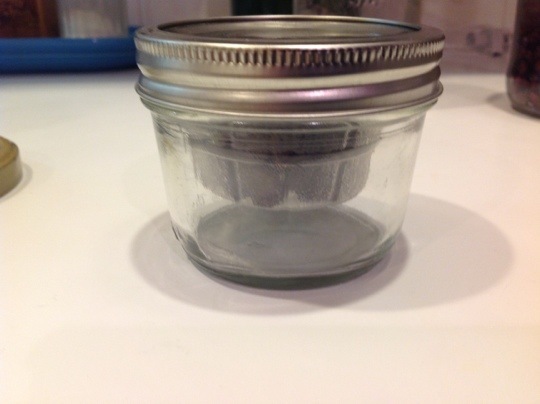 (The sippy cup topper for a canning jar.) Well, if you do, can you tell me where I put that jar? I seem to have misplaced it and it would be awfully useful for this next thing. The BNTO is an insert you put in the top of a wide-mouth jar so that you can carry two different kinds of food in one jar – chips and salsa / celery and peanut butter / Cheerios and nacho cheese – the possibilities are endless. 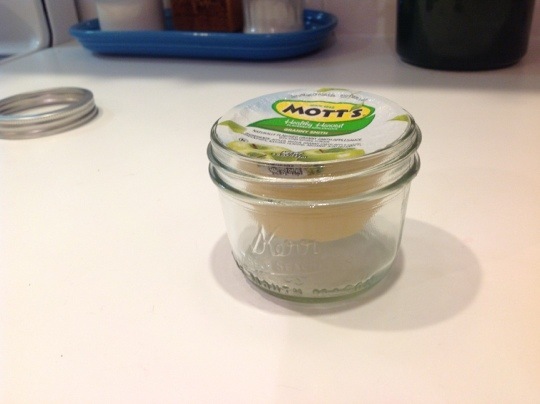 I saw thing thing and thought, “Hmmmm, that looks like the size of an applesauce container.” I let the thought rattle around in my head for a couple of weeks while I looked for my one good jar. It’s gone for good, though, so here it is in all it’s short glory. Is the jar at my house with lemon cake frosting? I am thinking this one is the same size as in your pictures above, but this will at least jog your memory that I have a jar of yours. Happy Friday. That is the coolest thing ever! Maybe your jar is at school. Looks like a trip to Menards is needed for a new one. Cool. I’m guessing you must always put the wet thing in the upper container, because it would be messy if the pudding or peanut butter got all over the underside of the applesauce cup. Ha! I just saw the “Cheerios and nacho cheese”. Yuck.